Anyone age 65 and older can experience greater severity in symptoms and complications from influenza—and according to the Centers for Disease Control and Prevention, older adults accounted for roughly 60-80 percent of flu-related deaths in recent years. An annual flu shot is recommended for everyone age 65 and older and is considered the best way to protect against this potentially serious disease. Individuals with chronic conditions such as asthma and heart disease are at an even higher risk of major implications from the flu. As winter approaches and temperatures drop, greater numbers of people stay indoors and can transmit the flu to one another. Now is the perfect time to encourage health plan members to seek out this annual immunization. 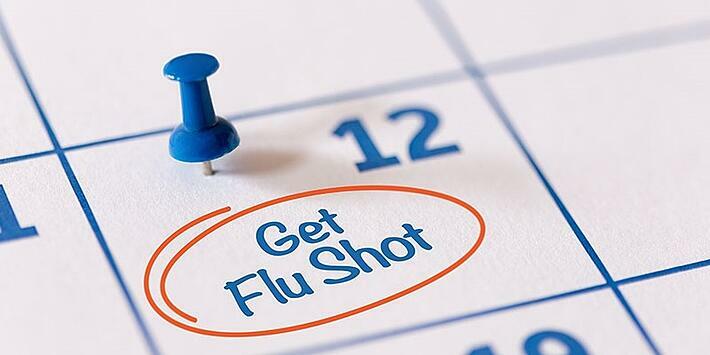 CDC recommends use of any licensed, age-appropriate flu vaccine, including inactivated influenza vaccines [IIV], recombinant influenza vaccines [RIC] and live attenuated influenza vaccines [LAIV] during 2018-2019. The nasal spray flu vaccine (LAIV) is again an option for vaccination during the 2018-2019 season. The recommendations for vaccination of people with egg allergies have not changed since 2016-2017. People with egg allergies can receive any licensed, recommended age-appropriate influenza vaccine and no longer have to be monitored for 30 minutes after receiving the vaccine. People who have severe egg allergies should be vaccinated in a medical setting and be supervised by a health care provider who is able to recognize and manage severe allergic conditions. Are you a healthcare worker? Have you and your team had your flu shot this year? Don’t forget healthcare workers are also advised to take preventative action and get a flu shot. Visit the CDC website for more information about this year’s Influenza Vaccinations.